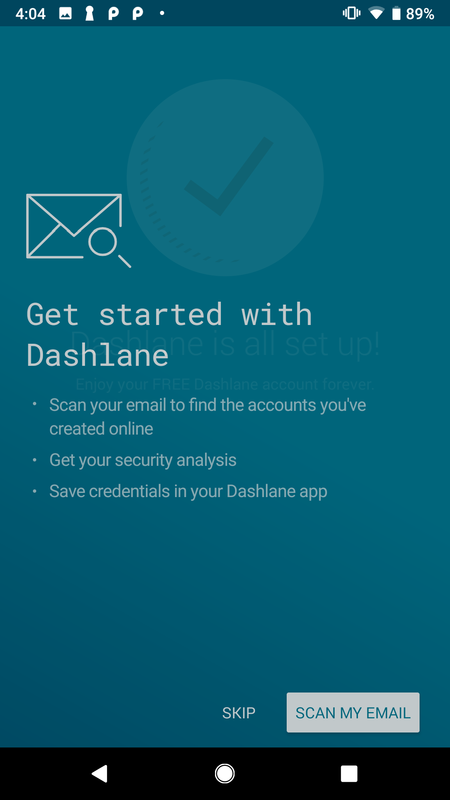 To use the Android app, you can either create an account on the Android app or log in to your existing Dashlane account. If you are not sure if your device is compatible with Dashlane, please check our minimum requirements page. 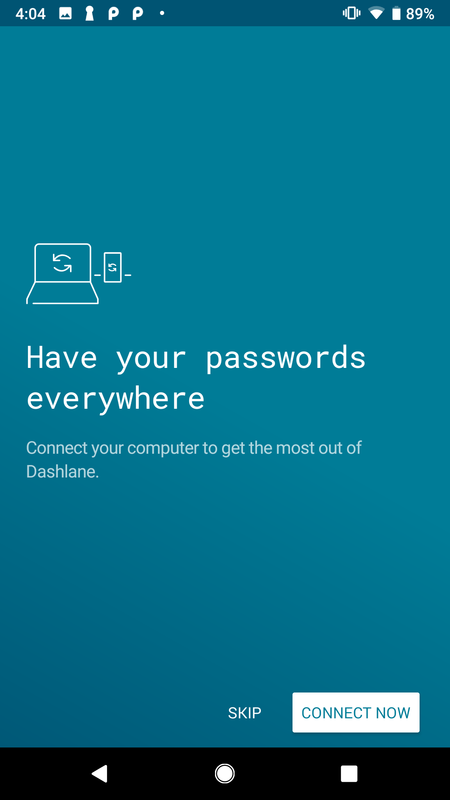 After installing the app, the first thing you need to do is create your Dashlane account. Tap on the "Sign up" button at the bottom of the introductory screens. To create your Dashlane account, enter the email address that you want to use as your Dashlane ID. You will use this address to log into your Dashlane account on all your devices. The email address is also where you will receive our confirmation emails (you can later set a different contact address if you wish). Next you will be prompted to create your Master Password, which is the password you will use to log into your account from all of your devices. You can always change it later, but remember to make it at least 8 characters long, with at least one number and one lower and uppercase letter. Keep in mind that if you forget your Master Password, we will not be able to generate a new one and send it to you. For security reasons, your Master Password is not stored on our servers and your data cannot be decrypted without it. You are the only one to have the key to your data! Once your account has been created, you may be offered to use the Inbox Security Scan feature to scan your mailbox, find the accounts that you have created online, and import them to your Dashlane account. You can always launch it later by tapping on "Inbox Scan" from the main menu. 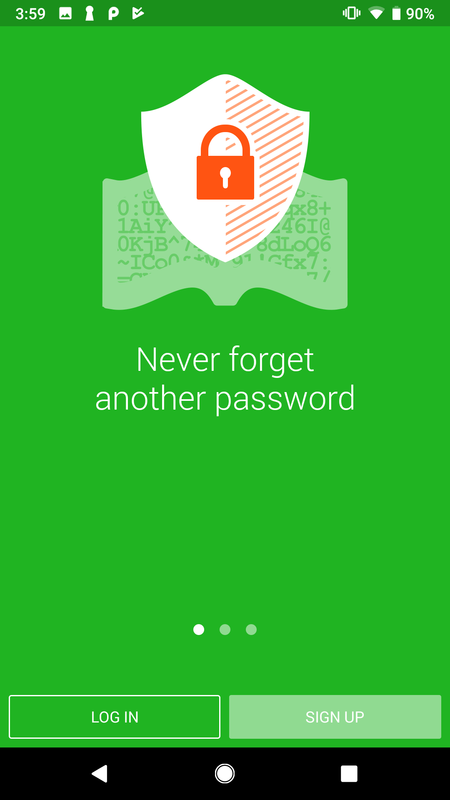 Otherwise the app will offer to connect your account to your computer, where for example you can import the passwords you may have stored in your browser. In the Passwords section, you can add all your web accounts. Find out how by clicking here. In the Secure Notes section, you can add information that you want to store securely but have access to everywhere. For example, your WiFi passwords or software licenses, but also important documents like a scan of your passport or ID with Secure File Storage. 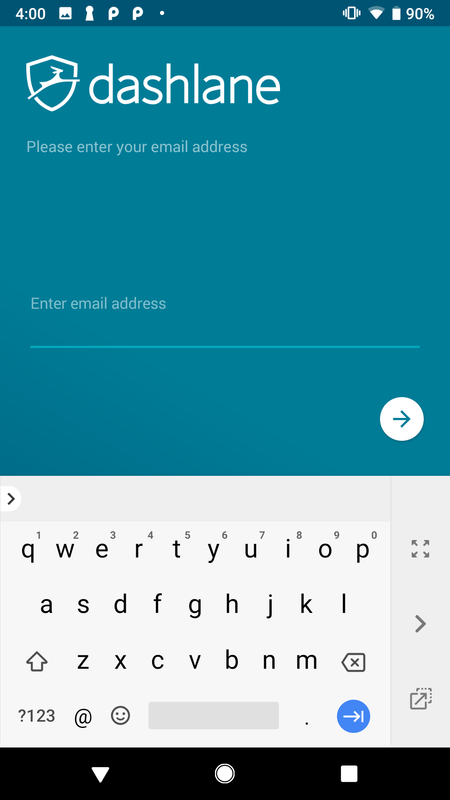 In the Personal Info section, you can add all the contact details that you want Dashlane to be able to autofill: Name, phone number, address, email, company website, etc. In the IDs section, you can add your ID card, passport, etc. 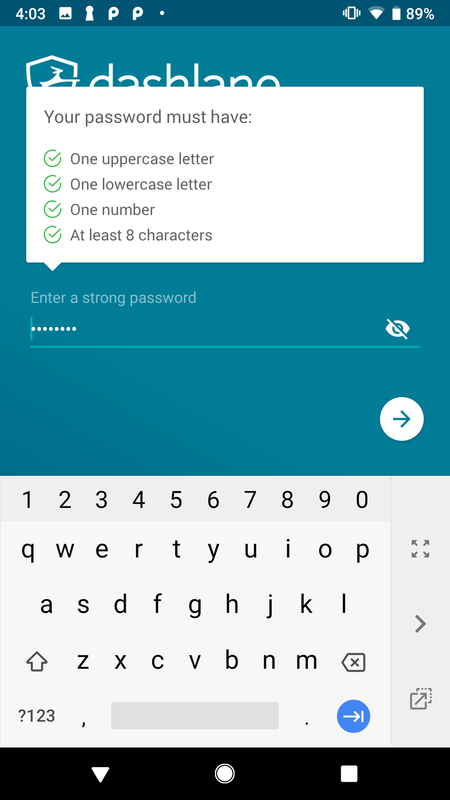 that you want Dashlane to be able to autofill. In the Payments section, you can add your credit cards, bank accounts and PayPal info that you want Dashlane to be able to autofill. Enter the email address you use for your Dashlane ID and your master password. If you have forgotten your master password, please click here. You are sent a six-digit security code to your email that you need to authorize your account on this new device. You can manage your authorized devices from the Web app. See How to manage my authorized devices for more information. If you have a problem with your security code, please close the app completely and then reopen it. This will send a new code to your email. Make sure you check your Spam or Junk Mail folder. And remember that if you are a Premium user, whenever you add a new device to your Dashlane account, your data will be automatically synchronized on that device.